Hey, Mikey! He likes it! Related news: Mom is knocked over by feather; faints. From the jacket flap: “Jennifer A. Nielsen has woven a heart-racing tale full of danger and bold adventure, lies and deadly truths that will keep readers on the edge of their seats.” True, all of it, true! I have written in the past about my struggle to find the right books for my capable but reluctant reader. Since my son was between books (because, you know, everything he ‘liked’ took him less than a day to read), I suggested we start this one together. “No thanks,” he said, looking at the cover and not seeing any underpants. “Okay, well, I’m going to read chapter one right now. Why don’t you come sit next to me and just give a listen? You can leave whenever you want,” I said. (There may have been a sleeve of Girl Scout cookies near me as well, but I swear I didn’t mean it as a bribe). And that is how our adventure with THE FALSE PRINCE began. The story, the first in Nielsen’s Ascendance Trilogy, is a medieval adventure with swords, plot twists, dungeons, and more plot twists. It had been awhile since I’d read something aloud to my son, and it was so fun to share our reactions when surprises popped up. In the end, he finished reading the book on his own because he couldn’t wait for the next bedtime to keep reading the story. This type of fantasy/adventure is not typically a genre I gravitate to, but in this case, I’m so glad I did. (Special thank you to Librarian Friend #2 for the loan). I highly recommend THE FALSE PRINCE to any writers looking for good examples of world-building. Nielsen hits the mark with this one. Additional related news: Mom trips over self on the way to the bookstore to purchase Book Two of the Ascendance Trilogy, THE RUNAWAY KING. Nancy Tandon • This entry was posted in Middle Grade Fiction, Parenting, Reading, Reluctant Readers, Young Adult Fiction and tagged high interest books, reading, reluctant readers. Bookmark the permalink. 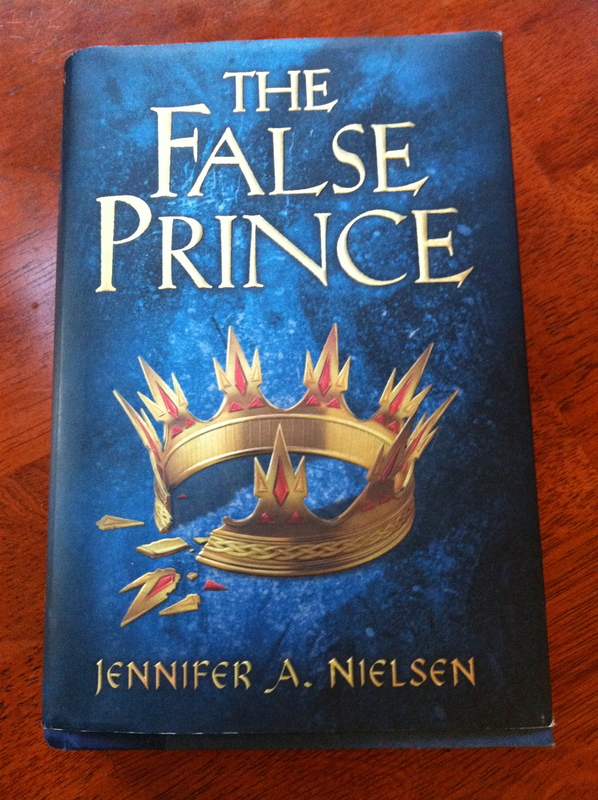 Oh, The False Prince is a fantastic book :-). Kudos to you, Mom, for encouraging the opening of new doors! You’ve opened up a wide world for your son!